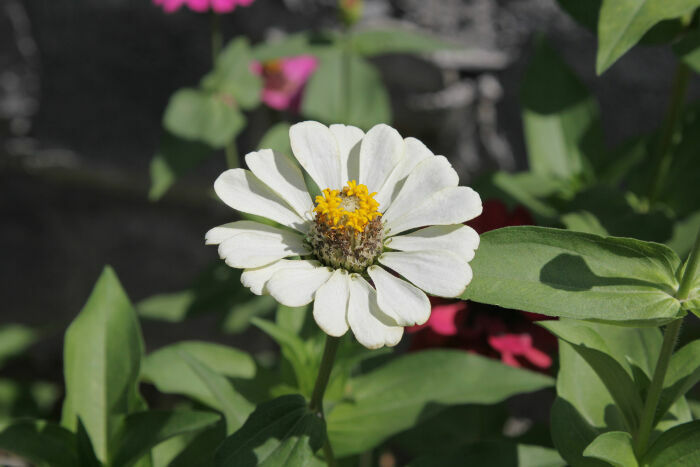 The zinnia flower is one of the most exuberant flowers you will want to grow in your garden. 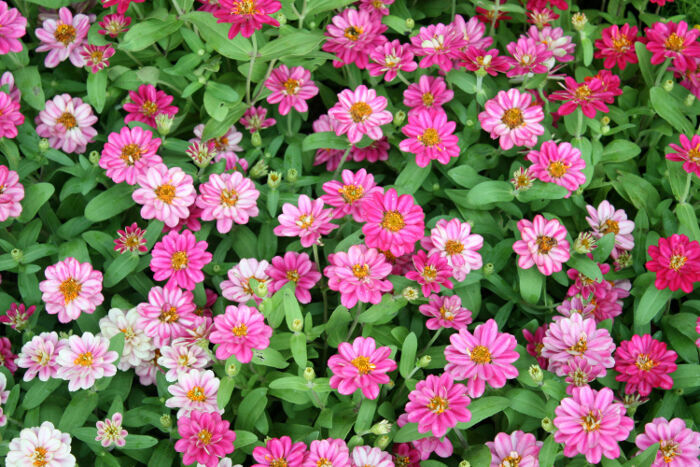 Among one of the easiest flowers to grow, they can be started from seed and can brighten up your garden in no time. A symbol of endurance, they are also one of the longest blooming flowers. You can count on a gorgeous show of color from early summer to the first frost. This is a beautiful, strong, drought tolerant sun loving flower that is originally from southwestern United States, Mexico and Central America. 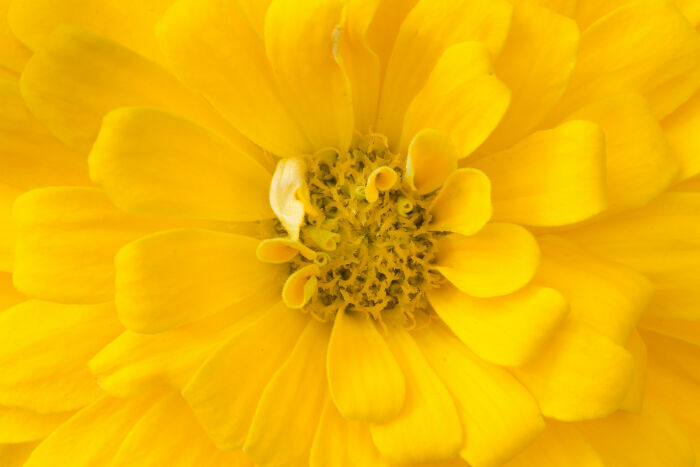 Thoughts of friends or thoughts of a missing friend are the most common meanings for the zinnia. First discovered as a scraggly wildflower by Dr. Johann Gottfried Zinn, a German botanist, who was intrigued by the little stalwart flower and brought it home to Europe to study. Dr. Zinn started cross breeding these zinnias with other zinnias he found. Many forms were created by hybridization. What Does the Zinnia Flower Mean? The zinnia flower has several meanings including thoughts of friends, endurance, daily remembrance, goodness and lasting affection. 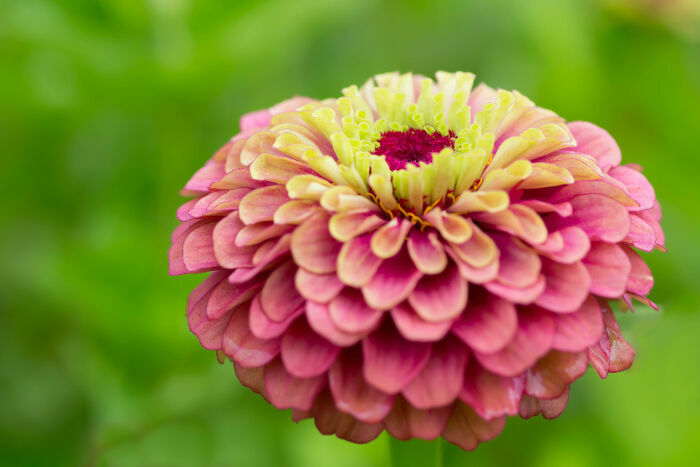 The name zinnia is not a Latin derivative. The flower was simply named after the botanist Dr Johann Gottfried Zinn. What a great honor for him! 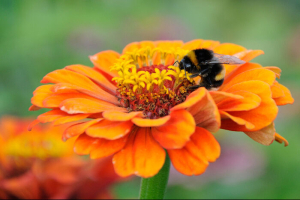 The zinnia is one tough flower so the symbolism has evolved to mean endurance in all of it’s many forms. 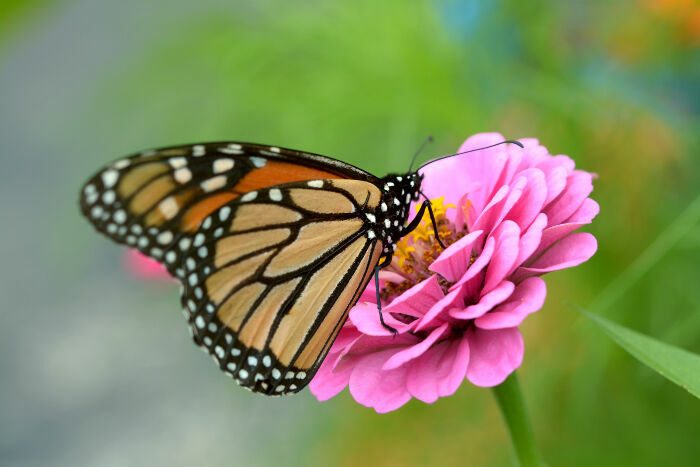 This includes spontaneous endurance: from youth to old age the zinnia endures and continues to bloom. It is also believed to mean joyous endurance, happy to bloom in the broiling heat of summer. 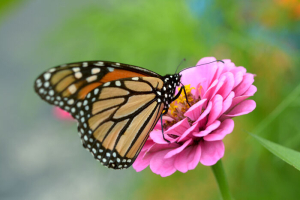 The zinnia also endures through any trials and tribulations (unforgiving heat, drought, bugs) and continues to put forth beautiful flowers in many shades of red, orange, apricot, yellow, white, lilac and even lime green. Zinnias are in the family of asteraceae and compositeae, hardy daisy like flowers. This is a durable, erect flowering plant which bears just one colorful flower per stem. Zinnias can be dome shaped or daisy like with single rays, double, semi double and cactus flowered blessed with wild spiky looking petals. There are also dahlia type forms where there are so many petals you cannot even see the flower head. The common zinnia that gardeners are familiar with is the z. elegans. There are other varieties including z. augustifolia with small daisy like flowers and z. haageana native to Mexico with much smaller, thinner leaves and small orange and yellow flowers. Within each of these categories there are many cultivars to choose from with colors ranging from the deepest burgundy to lilac and lime green. 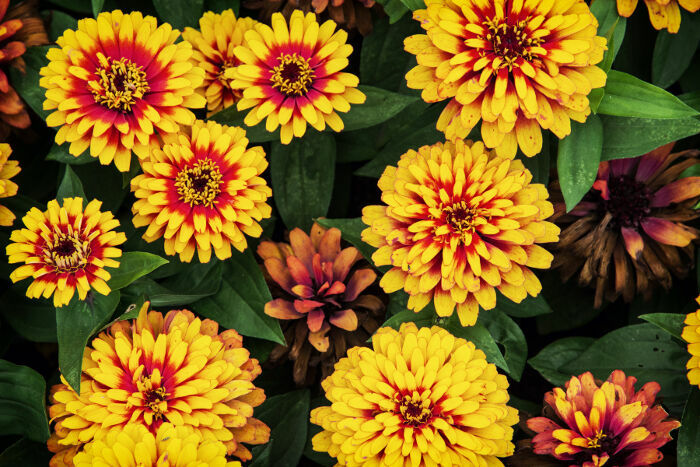 Spanish explorers discovered the little zinnia in Mexico and thought it so homely they named it “mal de ojos” or sickness of the eye! 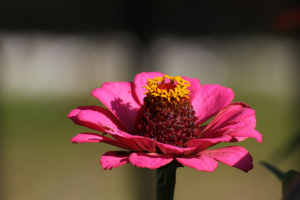 I would offer the zinnia flower on any occasion but especially when a person is feeling directionless or lost. I would also offer them when a person needs resolve to tackle a big problem. 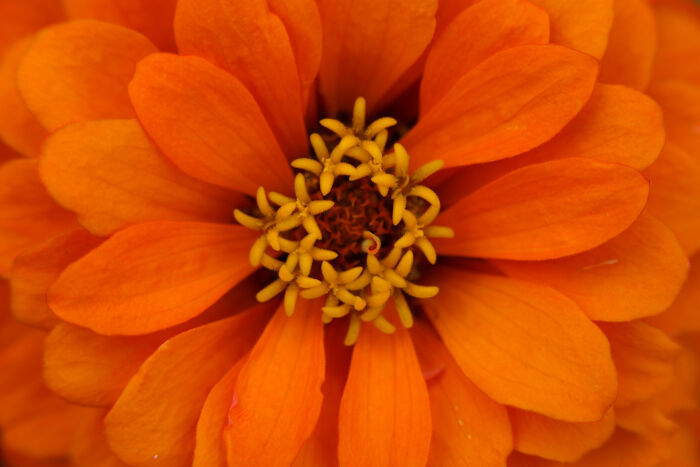 The zinnia is not listed as a birth flower, but a birthday would be a great day to offer these flowers. The zinnia flower symbolizes that you are thinking of an absent friend or love, this means it’s time to send those zinnias! A person can learn a lot from a flower and the zinnia’s endurance is legendary. I would think having these around the house would help a person feel strong and capable. 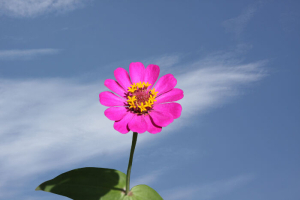 The symbol of the zinnia flower is endurance and I think the zinnia flower’s message is that setbacks are only temporary, the heat of the moment will pass, and you will be able to move graciously through any obstacles to get to your goal. The benevolent rays of the sun will shine down on you again. Love the site! But your header should read “Zinnia and ITS meaning” not IT’S. With the apostrophe it means “it is”. I am so excited I found this page!! I am vice president of our garden club with 90 members and we take care of a historical village and we are re-doing a couple of the gardens so it will be glad to know the origin of flowers to put some different ones in. Are the photos free to use?